The star of the show at FLX Sailing Charter is the Bristol 35.5 Sloop. Designed by famed shipbuilder Ted Hood, the luxurious RAJOSA is easily one of the finest vessels sailing the Finger Lakes. 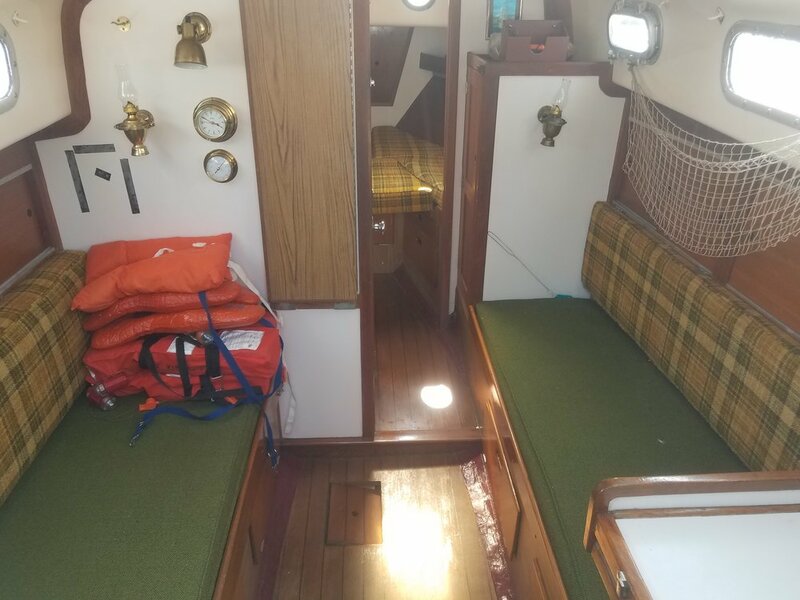 With sleek woodwork and graceful lines on deck, and a signature Ted Hood interior, featuring redwood, teak, mahogany, and ample headroom, the RAJOSA displaces well over 15,000 pounds and comfortably sleeps up to 7 people. Built by the world-renowned ship builder Allied Boat Company (and partially constructed right here in the Catskills! ), the 30-foot SeaWind is likely one of the most well-traveled sailboats on the Finger Lakes. Built in 1967, SeaWind was one of the first models of fiberglass sailboats to circumnavigate the world -- pretty cool, huh? Fully restored and ready to go, SeaWind is 30 feet long and comfortably sleeps 2 adult couples, or two adults and 2-3 children. Designated a bluewater sailboat (much like RAJOSA), the Bristol 33 was designed to travel the globe, and indeed, it has. Currently undergoing full restoration, the Bristol 33 is in need of a name, and suggestions are welcome! With a rich Teak interior, and dramatically arching waterlines, the Bristol is built in a style not seen since the 1960's. Emphasizing form over function, the Bristol hearkens back to sailing days long gone.